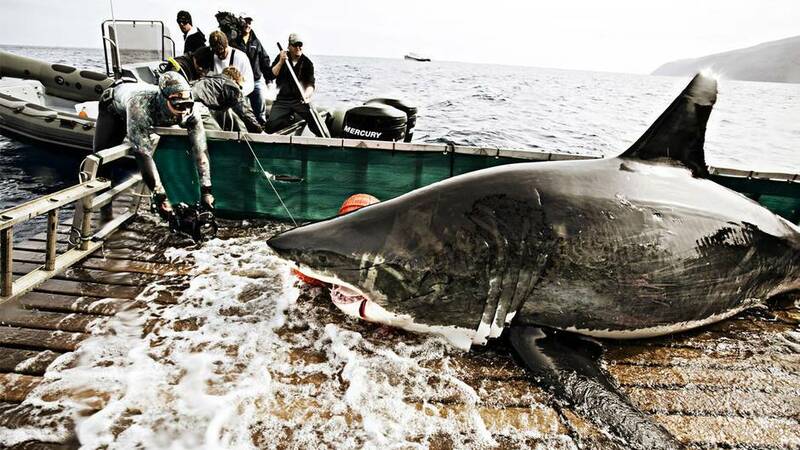 OCEARCH is a global non-profit organization specializing on research of Great White Sharks (Carcharodon carcharias) and other large predators, enabling leading researchers and institutions to generate previously unattainable data on the movement, biology and health of sharks to protect their future while enhancing public safety and education. 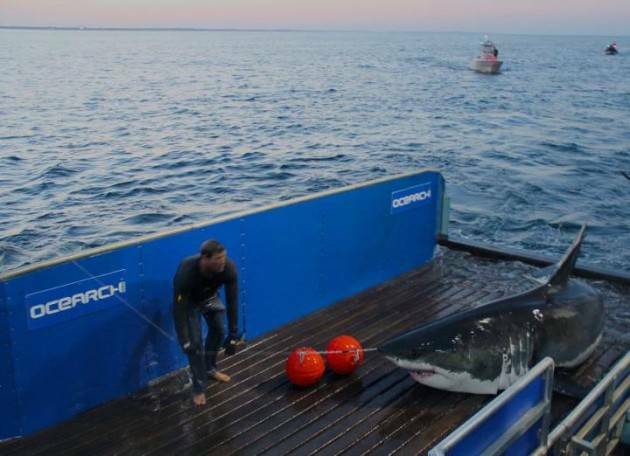 OCEARCH is also a leader in open source research, sharing data in near real-time for free through the Global Shark Tracker, enabling researchers, students and the public to learn more about the Great White Sharks's habits and dynamics. 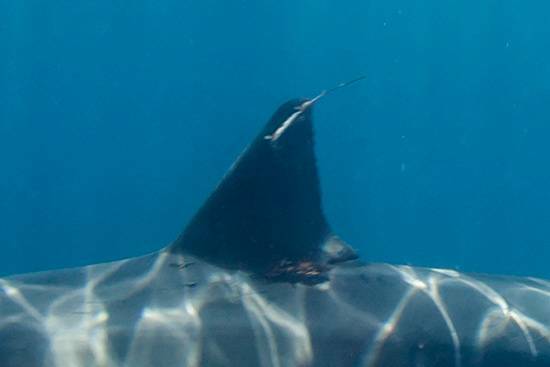 Over 50 researchers from more than 20 institutions have collaborated with OCEARCH to date with over three dozen research papers in process or completed. 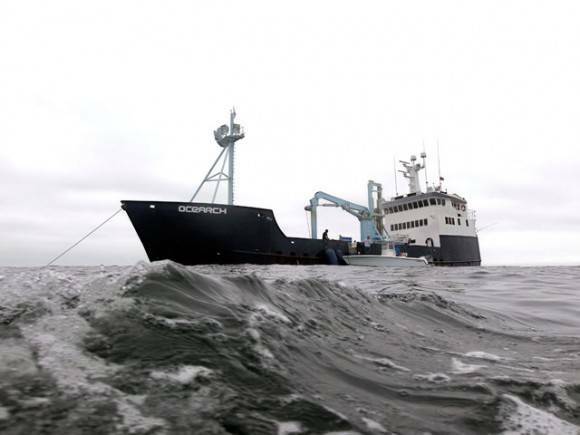 Research expeditions are conducted worldwide aboard the M/V OCEARCH, which serves as both a mothership and at-sea laboratory. 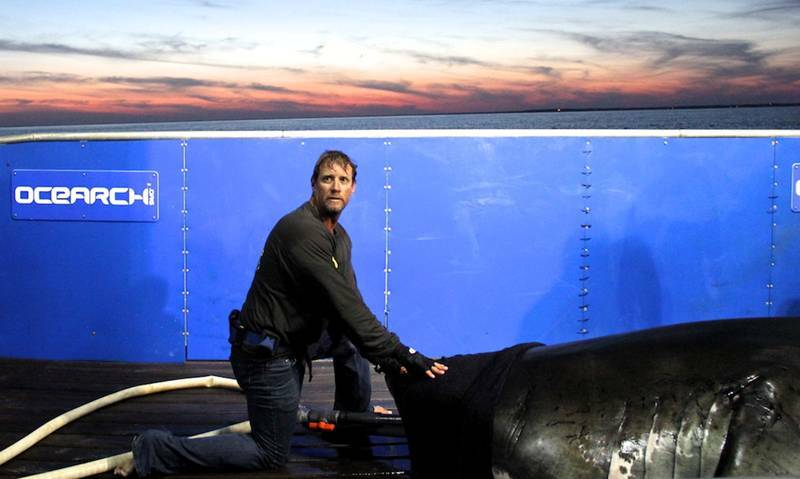 Utilizing a custom 75,000 lb. 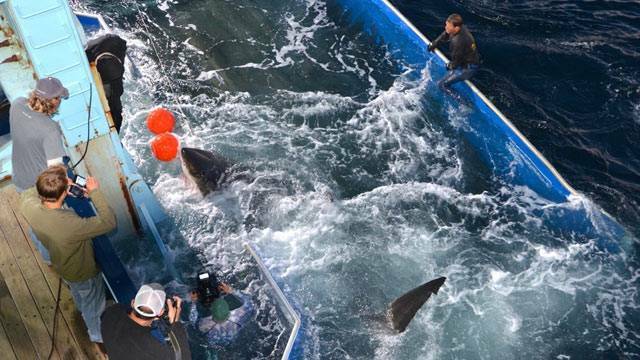 capacity hydraulic platform designed to safely lift mature sharks for access by a multi-disciplined research team, up to 12 studies are conducted in approximately 15 minutes on a live mature shark. 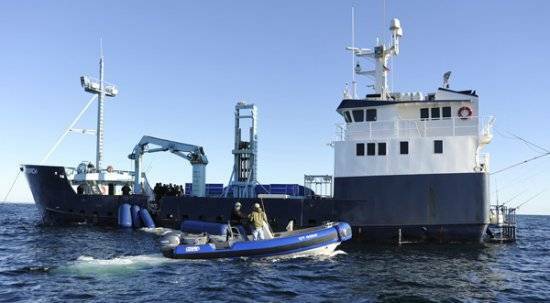 Powered by five Cat engines, the M/V OCEARCH is capable of Global Circumnavigation. 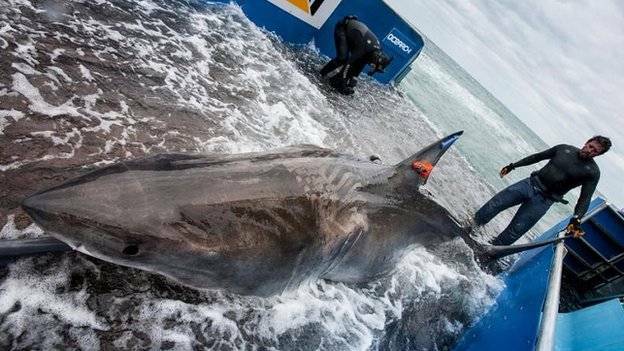 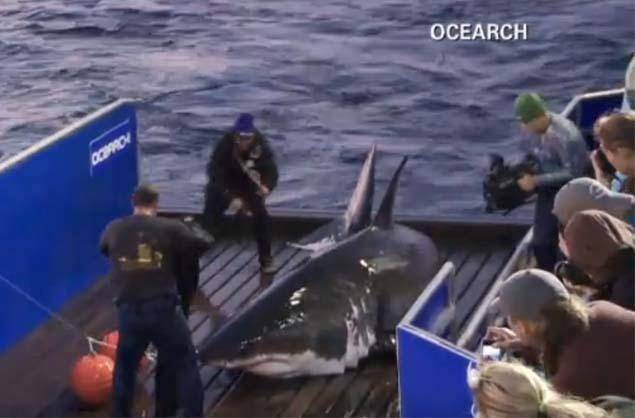 Lydia, one of the great whites tagged by Ocearch is about to make history as the first of its species to be seen crossing from one side of the Atlantic to the other. 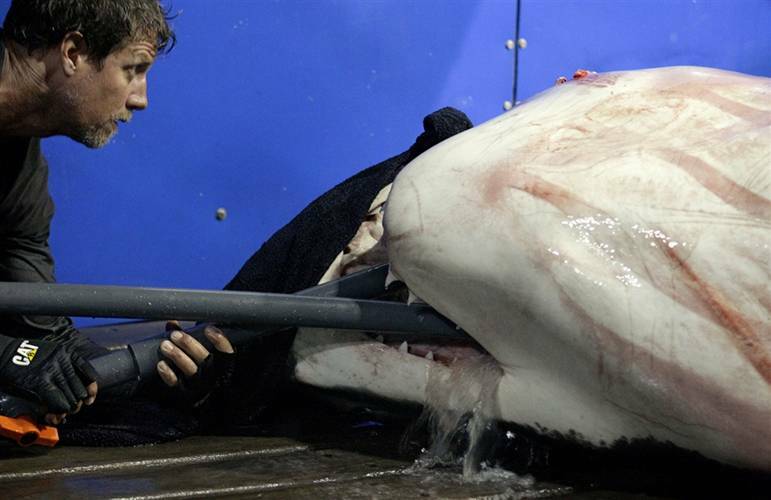 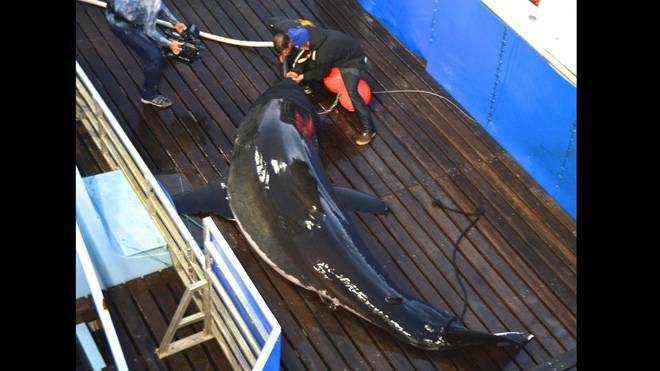 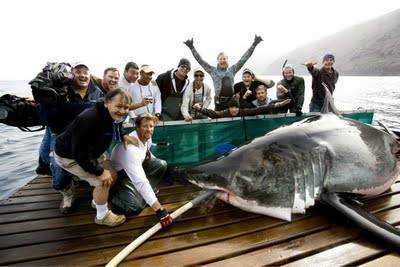 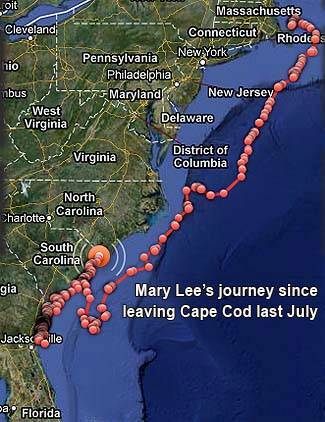 She has crossed the mid-atlantic ridge and is the first documented white shark to cross into the eastern Atlantic. 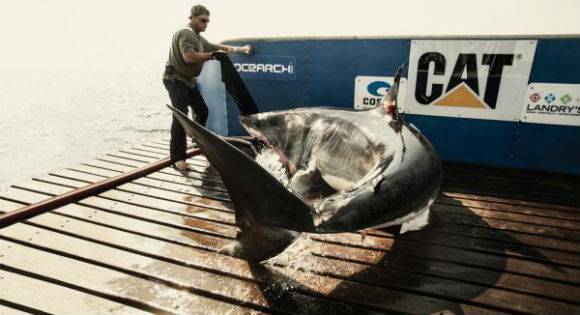 OCEARCH expeditions are supported by Caterpillar and other partners such as Costa, Yeti, Yamaha, Contender, SAFE boats and Mustad to generate satellite tracks and other forms of data for sharks, with planned expansion to other species in the future. Seventeen research expeditions have been conducted to date, with seven more scheduled through the end of 2015. 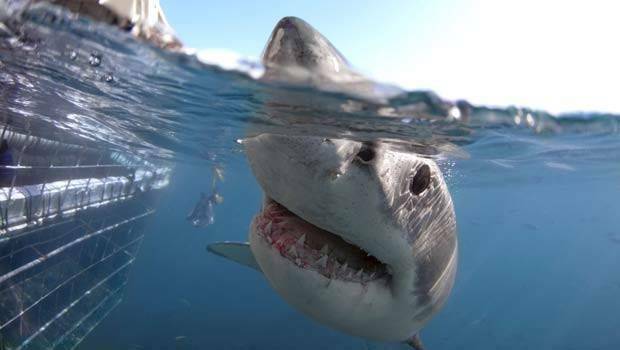 Chris Fischer, Expedition Leader and Founding Chairman Member of The Explorers Club has led 17 global expeditions since 2007 to advance science and education, facilitating millions of dollars in collaborative ocean research on predators, involving over 50 scientists and 20 institutions. Fischer’s goals are to enable scientists and governments around the world to generate groundbreaking open-sourced data while enabling dynamic STEM education for school children. 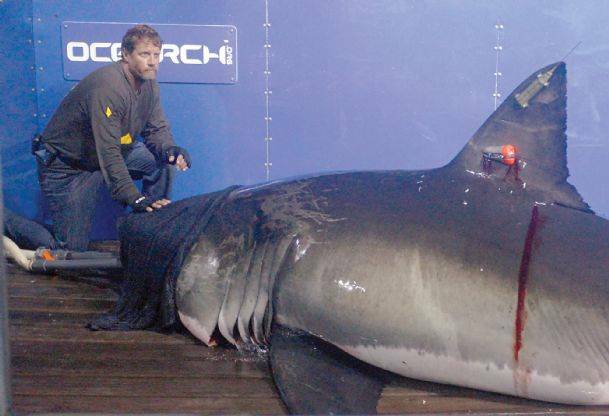 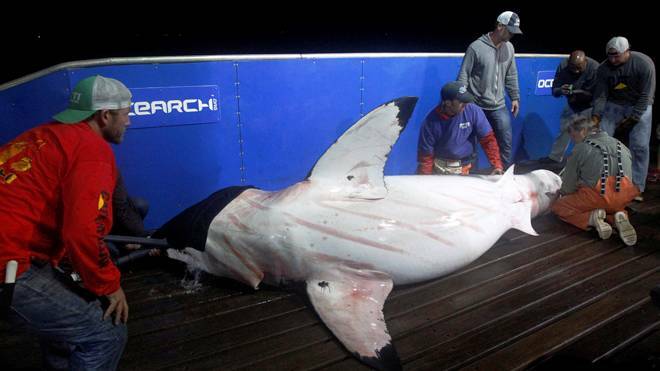 OCEARCH and Fischer have been featured in over 5,000 news stories in 2013. 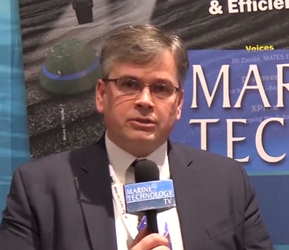 Fischer believes that being inclusive is inspiring. 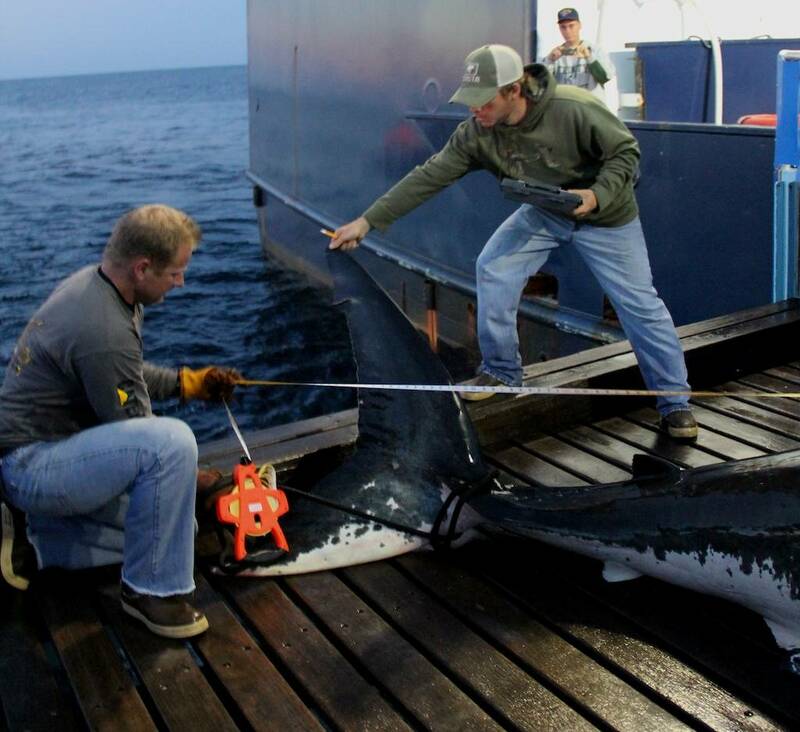 By breaking down institutional barriers and being resource-focused, scientists can obtain data at a rate otherwise not possible. 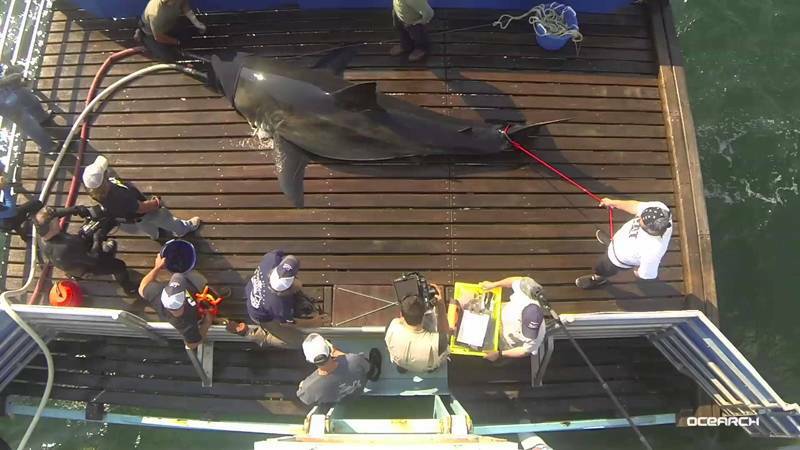 Partly through his initiative, U.S. students are being engaged with a K-12, STEM educational curriculum based on sharks and the Global Shark Tracker. 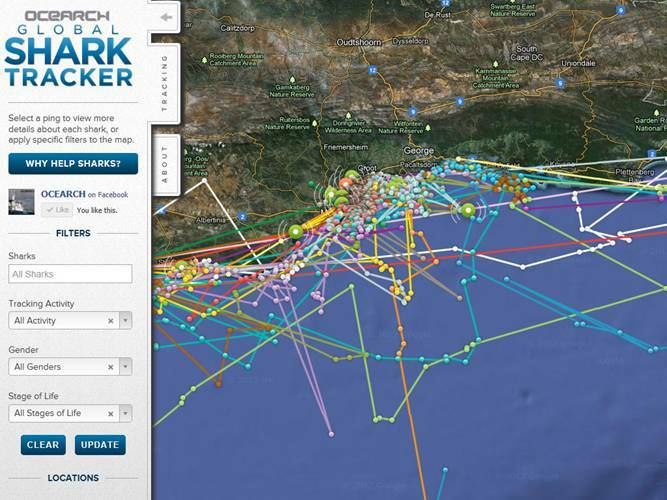 This near real-time dynamic tool allows anyone to track and learn about sharks. 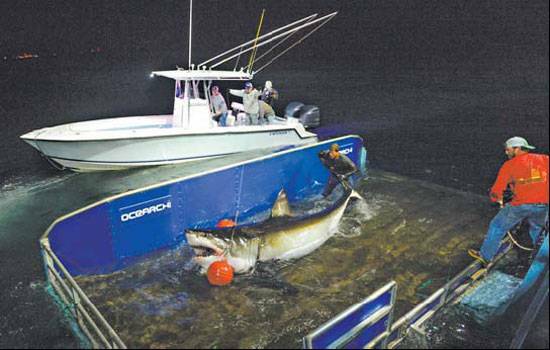 An initial phase of lesson plans for grades 6-8 was launched in the fall of 2013.